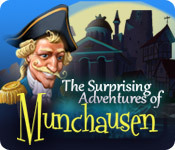 The Surprising Adventures of Munchausen is rated 3.7 out of 5 by 233. Rated 5 out of 5 by Calzephyr from Surprisingly good! I think it's kind of sad that I enjoyed this game a lot more than Key to Ravenhearst. I purchased this game years ago and finally got around to playing it. The art is a little more cartoony than I normally go for, but the music was really pleasant and the puzzles very challenging on expert mode with a good variety. Although the storyline is pretty light, it's very whimsical and colourful, and it's a shame that there isn't a credit for the voice actor of the Baron, because he added a lot to the game. Note that this game is a little buggy and some of the items that you collect may disappear. This happened to me, but I just restarted the game and finished on the second try. Rated 5 out of 5 by CasualGran from Unexpected Treasure This game was an unexpected treasure to me. I discovered it by chance, purchased it and haven't been sorry one second! 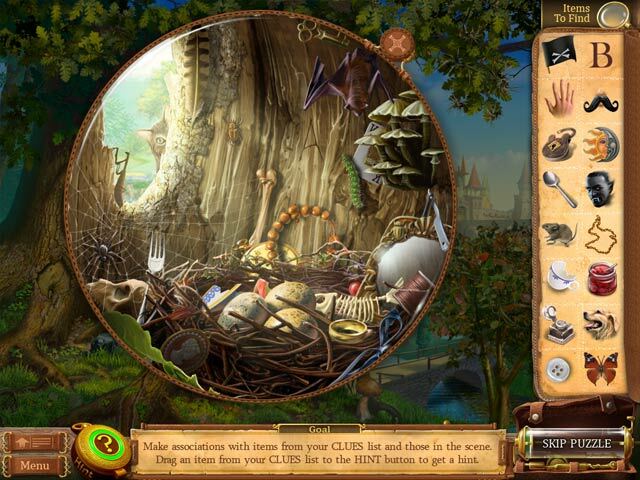 Not only hidden object (in this game you have to combine objects with others by association) but also very interesting puzzles Where you really should put on your thinking cap. I've enjoyed this game very much and certainly recommend to play it, even if it's an oldie! Rated 5 out of 5 by iamnobodyhahaha from Awesome! I won't say much about this game. It's just beautiful! 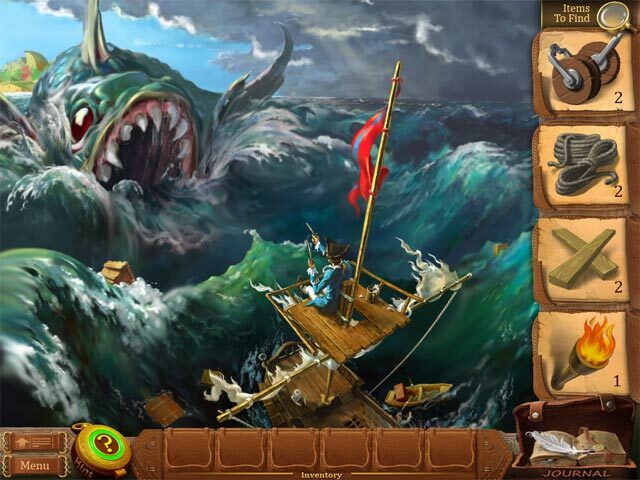 Very nice story, puzzles and mini games. Won't make you feel bored. I wish there was a map that would teleport me to places and the hint would take less time to refill. But since this game came out years ago it's okay. Rated 5 out of 5 by Sweetater2 from Very Good Game The different twist on the puzzles in this game plus the not too intrusive background music, make for a very pleasing experience when you want to just relax and enjoy a game with a bit of a challenge. Graphics are very good and the puzzles are great. Highly recommend. Rated 5 out of 5 by AdrianaIP from Hilarious!!! Baron Munchausen his improbable adventures has made the delight of many readers over the years. It is a shame that up until now no developers had tried their hand at this. Well, look no further. The game captures the style of his adventures, and the Rube Goldberish inventions he comes up with are a riot. Liked the association-HOS, takes more thinking than usual. If you are in a bad mood, play this game, and you'll be smiling again. Rated 5 out of 5 by Gameritis50 from Surprisingly Fantastic This game goes into my top 10 list. You will LOVE this game. The ONLY downfall to this game was it wasn't long enough. Rated 5 out of 5 by Knginatl from WOW, INCREDIBLY FUN AND DIFFERENT GAME! This game was soooo much fun to play. The puzzles were very unique and challenging. The graphics were delightful and the voice acting was nicely done. The "make the connection between objects" scenes were a nice change from the regular hidden object searches. It did seem a little bit on the short side. Maybe I just didn't want it to end! I HIGHLY recommend this game. It is one of the best I've ever played! Rated 5 out of 5 by Vitotito from Relaxing game This was not the most difficult game I've played, but it was one of the most enjoyable. Rated 5 out of 5 by Lao_Zi from YUMMY!!! I absolutely love a good cartoon, and when a good cartoon is combined with a totally interactive, humerous, delicious, adventure game, then it's topnotch all the way! Wish there were more games like this one. Get into your adventurer's frocks, keep your eyes peeled for those hidden objects and sharpen your creative wits ... don't disappoint Baron Von Munchausen. Rated 5 out of 5 by Tikatoy from A great game, but a short one This game was delightful! The story is whimsical and humorous, and I loved the art style; it was like something from a children's book. The transitions between locations were unique, with one scene morphing/melting into another. 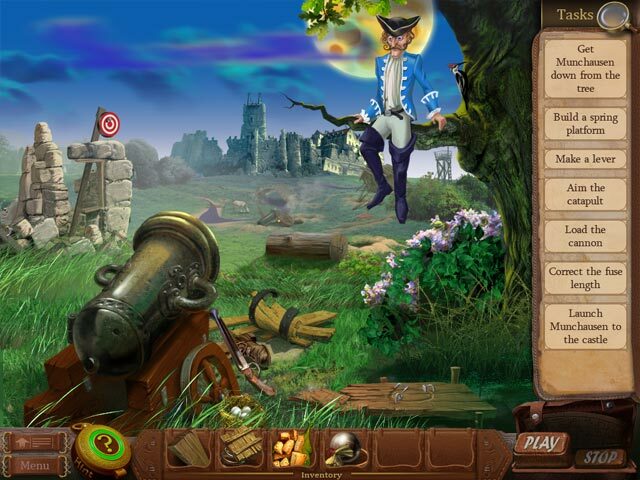 The hidden object scenes are different from the norm; you get a list of images of objects, and you have to drag each to a corresponding object in the scene. E.g. dragging a sun onto a moon, or dirt onto a shovel. I enjoyed this variation. The best part of the game for me was the logic puzzles, where you had a scene and you had to set everything up in it just right then press a button to "start" the scene to achieve a given objective.